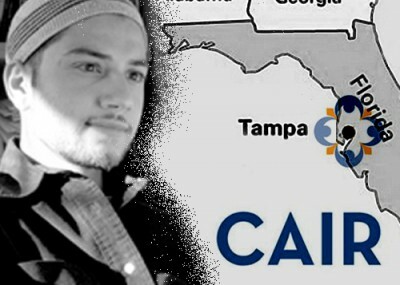 Hassan Shibly, the Director of the Council on American Islamic Relations (CAIR) Tampa chapter, has emerged as the leading spokesperson in the latest Tampa terrorism case. Shibly, however, seems an odd choice for this role given his own unscrupulous background. Shibly has a history of defending terror suspects while accusing the government of wrongdoing. In October 2009, Shibly re-posted an article on his Facebook profile that criticized the use of force against a radical imam, Luqman Abdullah, who was killed by the FBI after he opened fire on agents who moved in to arrest him. In a comment on the article, Shibly wrote a statement of respect for the dead: "To Allah we belong and to him we return." The criminal complaint against Abdullah left no doubt that the imam was a proponent of violent jihad and had even urged his followers to never surrender peacefully to authorities. The latest case of Sami Osmakac, arrested on Saturday in an alleged Tampa bombing plot, is more of the same from Shibly, who has been reluctant to offer condemnation of Osmakac's actions without, in the same breath, also casting suspicion on the FBI's actions that led to his arrest. "The weapons and explosives were provided by the government. Was he [Osmakac] just a troubled individual, or did he pose a real threat?" Shibly said on Monday. Later the same day, Shibly again offered a theory of the events that cast mistrust on the government's behavior. Speaking to the Tampa Bay Times, Shibly asked "Would there have been any real plot without the support and assistance of the FBI?" Still, Shibly has become a heavily relied-upon source for information on Muslims and Islam, not just for the media but also in the education system. Shibly now stands at the center of a controversy in Florida, where a coalition of education and conservative organizations has called for the Hillsborough County School District to sever its ties with Shibly and CAIR after years of the group's representatives being invited to speak at schools in the district. "Every year I invite a representative from CAIR to speak to our AP World History Students," wrote Kelly Miliziano, a World History teacher at Steinbrenner High School in Tampa, in an e-mail from Nov. 14. "Over the years I have had many speakers from CAIR come to my classes," she wrote in another e-mail. In a Facebook post from Dec. 3, 2011, CAIR bragged that it had given presentations to more than a dozen AP World History and World Religions classes in Tampa public schools. The coalition, however, has taken issue with the choice of CAIR, and Shibly, as moderate representations of Islam for impressionable students, especially without other truly moderate experts being invited to provide other viewpoints. After all, Shibly has a history of defending terrorist groups and espousing some critical views of both the U.S. and Israel. In the aftermath of the 2006 Israel-Lebanon War, Shibly defended Hizballah as a "resistance movement" that provides social services to the Lebanese people. "They're absolutely not a terrorist organization," Shibly said. "Their targets have always been military targets. They wear uniforms and operate overtly. Under American just war theory, since they have a political base and popular support from the people, any war against them is illegitimate." Shibly also avoided condemning Hamas and Hizballah as terrorist organizations when asked directly to do so at a Feb. 28, 2011 lecture at a church in Youngstown, N.Y. "But the trick we fall into is when we want to condemn them as a whole we completely cut off any chances for having a peace process." In light of past statements Shibly has made, it comes as no surprise that certain groups in Florida take issue with Shibly and CAIR frequently being given a platform to address students. "Mr. Shibly seems at times to support or work with Islamists who are leading advocates for political Islam," wrote M. Zuhdi Jasser, the founder of the American-Islamic Forum for Democracy and one of the speakers the coalition recommends inviting to schools in place of Shibly. "But when they [Islamists] become violent, he tries to distance himself with no corroborating public record to demonstrate a genuine ideological battle." Other CAIR leaders have echoed Shibly's public expressions of doubt regarding the validity of the case against Osmakac since his arrest this past weekend. Given his questionable political opinions, it is surprising how quickly certain groups, like the Florida media, are to get Shibly behind a microphone and hear his views on the latest events affecting the Muslim community. Shibly, for example, appears frequently on the Fox News affiliate in Tampa, including in an interview on Monday about the Osmakac case. In the interview, Shibly reiterated his skepticism about Osmakac's guilt, stating that there are only allegations at this point and the whole truth is yet to come out. A call by the Investigative Project on Terrorism to the Fox affiliate to inquire about their continued reliance on Shibly as a source for information was not returned. Those who let this america haters in are actively hurting the whole society .